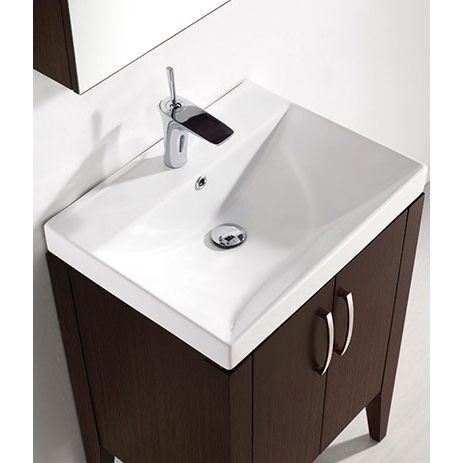 The Caserta Collection is the perfect marriage of function and contemporary elegance. No detail has been overlooked. Double cabinet doors open to a spacious interior, complete with interior drawer fitted with effortless soft-closing hardware. Match the luxurious polyurethane-protected finishes in Walnut or Glossy White to any of the twelve countertop and basin options…et voila'! A versatile collection that will complement any bathroom.